Earlier this month, I hosted a business retreat (it was the second I’ve hosted this year). By most markers, the event was a flop. I only profited $811. It takes about 200 hours to plan, market, organize, and execute the 3-day retreat. That means I earned about $4 an hour. But I’m here to share that there are always lessons from failure. My first retreat back in May sold out and I cleared a bit more than $2,800. That’s about $14 an hour. Not great, but three times more than this go around. Why am I telling you these numbers? 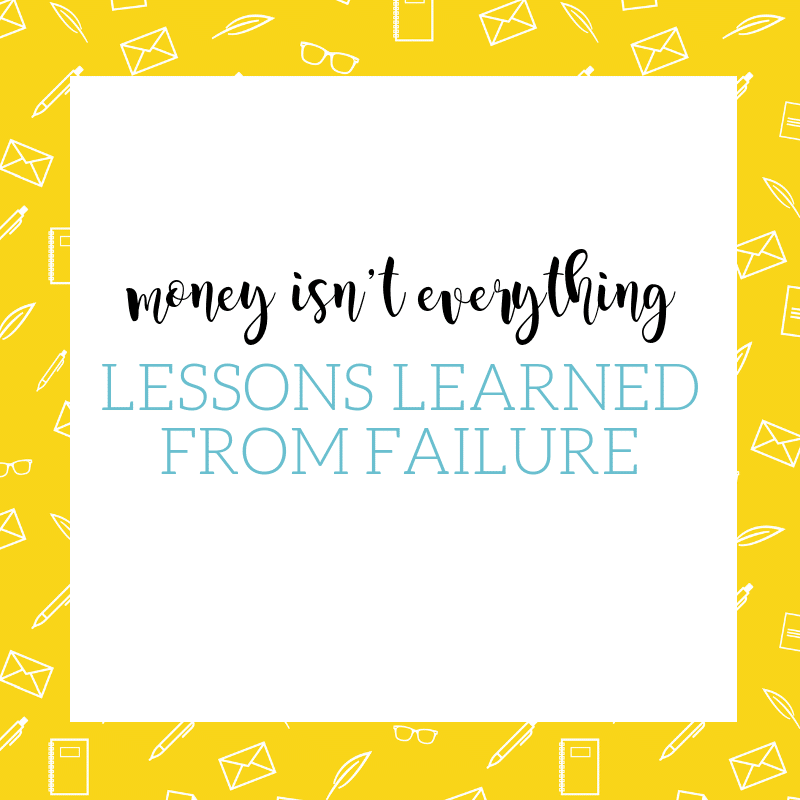 Well, I’ve realized there are valuable lessons from failure that I really want to share. I’ve always been quick to tell people that they should always charge what their work is worth. What I’m realizing is I need to be more cautious about giving that advice. There are exceptions to any rule, including pricing, and it’s unfair for me to paint with broad strokes. I could easily feel like a complete failure for hosting a second event that made so much less than the first and that had three fewer attendees than planned/budgeted. DATA: This was an amazing learning experience. I discovered that fall is a tough time to host an event because the primary sales period is during the summer when most business owners aren’t in buying mode. I realized I need to do get full or more sizable payments upfront to reduce the risk of losing money. I also learned that I much prefer a smaller group because it allows deeper connections. Finally, I got an opportunity to test new techniques to see what works and what doesn’t. SERVICE: The attendees got amazing value from the retreat. I created a safe space for women to learn, share, and grow. They walked away with a deeper understanding of their businesses, their goals, and themselves. They made meaningful connections with other women that I am confident will continue for months and years to come. I want to make money, of course, but ultimately I became a mindset coach to empower women and this event did just that. CONFIDENCE: I walked away from the event with a major boost in confidence. Like most people, I sometimes wrestle with doubt and imposter syndrome. Although I’ve been self-employed for 14 years, I’ve only been coaching for a little over a year. I appreciate any opportunity to do this work and receive positive feedback for my efforts. It’s more than a nice pat on the back; it’s a reaffirming experience that motivates me to keep doing this work I love. Does this mean I’d be satisfied making $811 for future retreats? Or $4 an hour for anything? Heck no. I’ll use everything I learned to make mindset and tactical changes so this doesn’t happen again. I’ll do my best to make sure my next event or offering results in a financial payout that leaves me feeling proud and successful. That said, I’ll also remember that when things don’t go as well as I hope (because sometimes they wont, no matter how hard I work), that it doesn’t mean I’m a failure. And I hope you do the same. Learning to reframe failure, and find the successes even within the disappointments, is incredibly powerful.